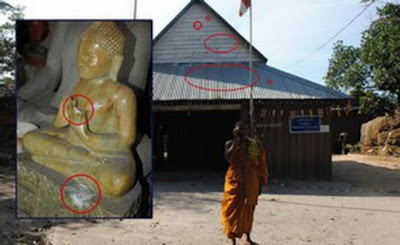 Following the Thailand-Cambodia dispute, villagers from Thailand border, petitioned to sue Cambodian government for the damages caused by the cannon and Missile-BM21 fires from Cambodia, requesting over 2 Billion Baht in compensation. Srisaket, 10th March 2011 [PDN]: Mr. Weerayut Duangkaew, Sub-district Chief of Saothongchai, Kantaralak, Srisaket stated that villagers from 7 sub-districts, including Poomsaron village, have united together to sign a petition for the damages caused by the Thailand-Cambodia dispute. 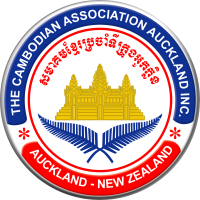 The village people planned to sue Cambodia reaching various levels of authority – first to the World Court or ICJ, proceeding through to the District Chief Officer of Kantaralak, forwarding to the Governor of Srisaket, then to the Ministry of Foreign Affairs and to the Prime Minister respectively. About 50,000 villagers joined together and calculated the requested compensation amount. The costs were the multiple of the people by their daily income (100 Baht/day) by 30 days. The estimated reimbursement was a grand total of 150 million Baht. Furthermore, farming total damage costs for 600 Rai were around 9,000,000 Baht at 15,000 Baht per Rai. Personal compensation was also evaluated. 1 million Baht compensation was requested for each of the 7 houses burnt. Partial house damages was priced at 300,000 Baht per house. One dead person was worth around 1,500,000 Baht. The compensation amount was a grand total of approximately 2,239,905,000 Baht.